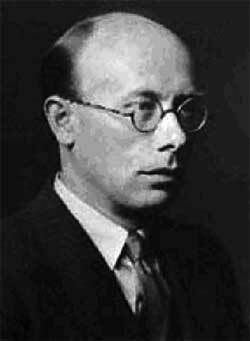 The famous english mathematician Maxwell Newman was born as Maxwell Hermann Alexander Neumann in Chelsea, London, England, on 7 February 1897. His father was the German Jewish immigrant Hermann Alexander Neumann, originally from the German city of Bromberg (now Bydgoszcz, Poland), who had emigrated with his family to London in 1881 at the age of 15. Hermann worked as a secretary in a company, and in 1896 married to the 26 year old Sarah Ann Pike, who was the daughter of a leather dresser, and came from a farming family, but had become a primary school teacher. Max was theirs only child. The family moved to the London suburb of East Dulwich in 1903, and Max attended Goodrich Road school, then City of London School from 1908. As a schoolboy at the City of London School, Max demonstrated a great aptitude for classics and also mathematics where he was fortunate enough to come under the influence of a particularly stimulating teacher called F.W. Hill. Hill had formerly been a fellow St. John’s College, Cambridge and it was to this college that Max in turn gained a scholarship, commencing his studies in 1915. Newman made a very promising start winning several prizes at the end of his first year and obtaining a First Class in Part 1 of the Mathematical Tripos. The next three years were spent away from Cambridge doing work related to the war. Initially, Newman took up a teaching at Archbishop Holgate’s School in York. After the outbreak of the First World War, this domestic tranquility as may have existed was shattered by the internment of Max’s father as an enemy alien. Hermann, who had lived in England for 33 of his 48 years was understandably disgusted at his treatment and returned to Germany immediately upon his release. Little of detail is known of Max’s relationship with his father but in 1916, Max broke with the past and changed his surname by deed poll and was henceforward called Newman. For national service, besides teaching at Archbishop Holgate's Grammar School in York, Max worked in the Royal Army Pay Corps, and taught at Chigwell School. He was called up for military service in February 1918, but claimed conscientious objection due to his beliefs and his father's country of origin, and thereby avoided any direct role in the fighting. His next challenge was to study for a college fellowship and in pursuit of this aim Max spent 1922-3 in Vienna. The dissertation which Newman produced in 1923 in support of his fellowship contains some evidence of a nascent curiosity about the impact mechanized calculation might have on the mathematical sciences. Universal computing machines were still some way off, but Newman considers the use of “symbolic machines” for making predictions in physics. He was elected a fellow of St. John’s College in Cambridge in November 1923 and, in 1927, he was appointed as a lecturer in mathematics. In 1934, Max much to the surprise of most of his friends announced his intention to marry. His bride to be was Lyn Lloyd Irvine, a writer, a friend of some years’ standing and the daughter of a minister of the Church of Scotland. The wedding took place at the end of 1934 and, early the following year, the couple took up residence a few miles south of Cambridge at Cross Farm, Comberton. In the years that followed they had two sons, Edward (born 1935) and William (born 1939). Over the next two decades Newman applied himself to mathematics, setting out to tackle combinatorial topology, an area which, at that time no-one else in Britain had attempted. Characteristically, his approach was to build on the work of the major pioneers in the field, proceeding incrementally in simple steps. The result was a collection of important papers and a number of theories which continue to be of interest to topologists. He also published papers on mathematical logic, and solved a special case of Hilbert's fifth problem. Namely Newman was the reason, Alan Turing first to encounter Hilbert’s, so-called Entscheidungsproblem (German for decision problem) around the Spring of 1935 when Turing was a student on Newman’s Part III Foundations of Mathematics course. In the middle of April 1936, Turing presented Newman with a draft of his breathtakingly original answer to the Entscheidungsproblem. At the heart of Turing’s paper was an idealized description of a person carrying out numerical computation which, following Alonzo Church, we have come to call a Turing machine. All modern computers are instantiations of Turing machines in consequence of which Turing’s paper is often claimed to be the single most important in the history of computing. From the moment Newman saw Turing’s solution he took him under his wing. Newman canvassed successfully for On Computable Numbers to be published by the London Mathematical Society and, simultaneously, enlisted Alonzo Church’s assistance in arranging for Turing to spend some time studying in Princeton. Britain declared war on Germany on 3 September 1939. The part-Jewish ancestry of the Newman family was of particular concern in the face of Nazi Germany, and Lyn, Edward and William were evacuated to America in July 1940. Newman remained at Cambridge, and at first continued research and lecturing. By spring 1942, he was considering involvement in war work. He made enquiries, and was approached to work for the Government Code & Cipher School at Bletchley Park. He was cautious, concerned to ensure that the work would be sufficiently interesting and useful, and there was also the possibility that his father's German nationality would rule out any involvement in top-secret work. The potential issues were resolved by the summer, and he agreed to arrive at Bletchley Park on 31 August 1942, where he became the main constructor of the english code breaking machines Heath Robinson and Colossus. After the WWII Newman was appointed head of the Mathematics Department and to the Fielden Chair of Pure Mathematics at the University of Manchester in 1945 and transformed it into a centre of international renown. He obtained support of the university and from the Royal Society and assembled a first-rate team of mathematicians and engineers. Adopting exactly the same approach as he had used so effectively at Bletchley Park, Newman set his people loose on the detailed work while he concentrated on orchestrating the endeavor. By the middle of 1948 the SSEM (Small Scale Electronic Machine) was up and running and although it was little more than a proof of concept it was still the world’s first working digital electronic stored program computer. Newman wrote Elements of the topology of plane sets of points, a definitive work on general topology. He also made major contributions to combinatorial topology. He was a laureate of many honors and awards, let's mention only: Fellow of the Royal Society, Elected 1939; Royal Society Sylvester Medal, Awarded 1958; London Mathematical Society, President 1949-1951; LMS De Morgan Medal, Awarded 1962; Speaker International Congress of Mathematicians, 1962; D.Sc. University of Hull, Awarded 1968. The Newman Building at Manchester was named in his honor. The building housed the pure mathematicians from the Victoria University of Manchester between moving out of the Mathematics Tower in 2004 and July 2007 when the School of Mathematics moved in to its new Alan Turing Building, where a lecture room is named in his honor. Newman’s direct involvement with computing activity was, however, coming to an end. Newman was opposed to the inevitable use of the Manchester computer in the development of nuclear weapons and as the government took an ever closer interest in the Manchester computer, Max stepped back gradually, preferring to leave further development to the engineers. Newman was a deeply cultured man with an inquiring mind whose interests ranged over a broad canvas. His influence on the first generation of British computer scientists was incalculable, and his appreciation of the importance of computing long before it was generally apparent was probably matched only by that of Alan Turing. The vision and leadership which he showed at Bletchley Park during the Second World War and his single minded determination to mechanize the British code breaking efforts not only had an appreciable impact on the outcome of the conflict but created a computing legacy which he was determined to carry into the post-war situation. Such was the deftness by which he accomplished the transfer of knowledge that some of those who gained most from his understanding were more or less completely unaware of the singular contribution made to their own success by this remarkable man. Newman retired in 1964 to live in Comberton, near Cambridge. After Lyn's death in 1973 he married to Margaret Penrose. This remarkable man died on February 22, 1984, in Cambridge.